Operator : HOLLIDAY SAND & GRAVEL CO.
HOLLIDAY SAND & GRAVEL CO.
Rolls-Royce Commercial Marine has signed a contract to deliver ship design and an extensive range of equipment to a 70-meter long stern trawler to be built for Engenes fiskeriselskap AS, based in Troms county, northern Norway.This highly advanced fishing vessel is to be built by Gondan shipyard in Spain. 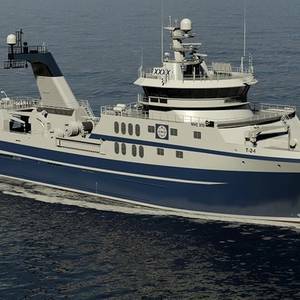 Rolls-Royce said it has signed a contract to deliver ship design and a range of equipment to a 70-meter long stern trawler to be built for Olympic Seafood based in Fosnavåg, Norway.The fishing vessel is to be built by Cemre shipyard in Turkey, who also holds a contracted option for a second vessel of the same type for Olympic Seafood. 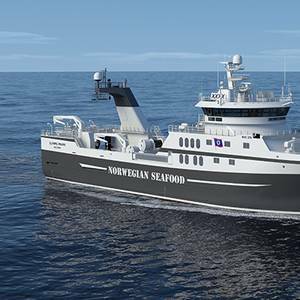 Rolls-Royce has signed a contract to deliver ship design and an extensive range of equipment to a 70-metre long stern trawler to be built for Engenes fiskeriselskap AS, based in Troms county, northern Norway.This highly advanced fishing vessel is to be built by Gondan shipyard in Spain, said a press release from Rolls-Royce.